Held in the atrium of Hong Kong’s IFC Mall, the exhibition was a celebration of the past 114 years of the company’s legacy. 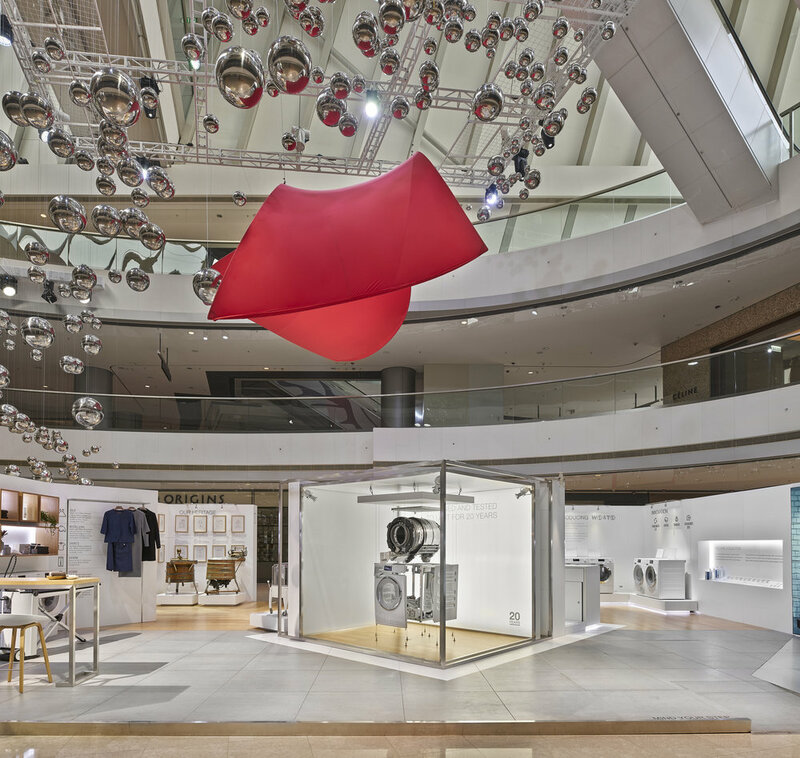 The display housed both heritage products and the latest technologies, shrouded beneath a swirling fabric and bubble sculpture suspended from the ceiling above. 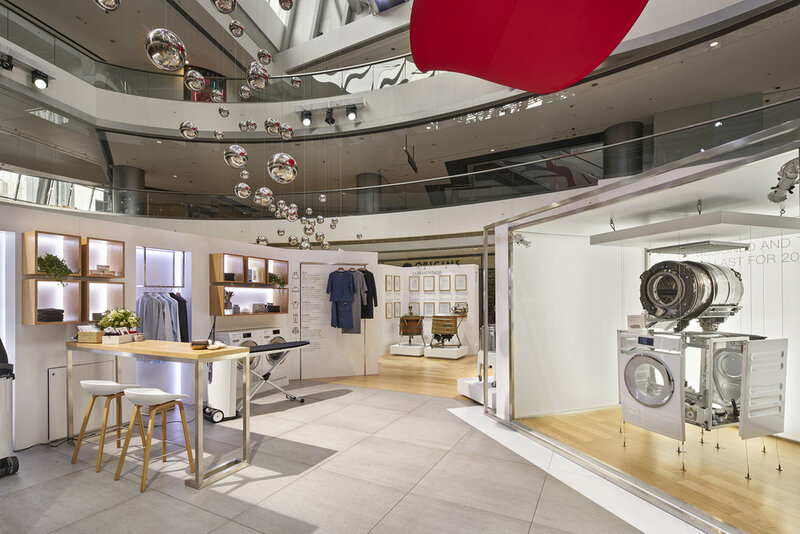 The sculpture evoked a playful and romantic take on laundry imagery fitting comfortably within the luxury mall setting.